The Novotel by night, shot taken from the east side of Darling Harbour, not by me sadly! 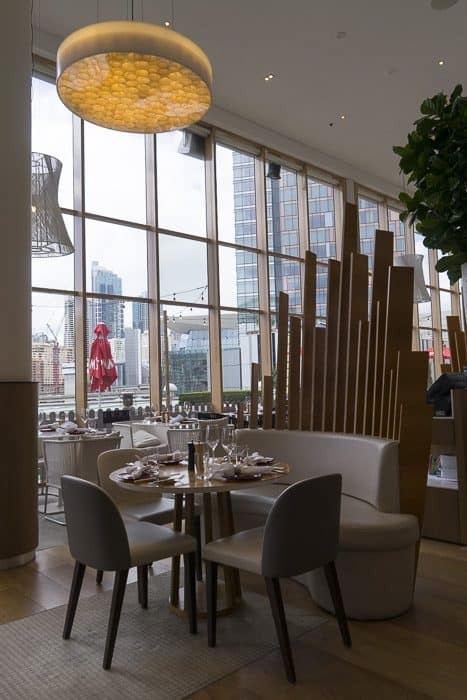 As part of a series of posts on family-friendly Sydney hotels, let me show you around the Novotel Sydney Darling Harbour where I recently had a tour. 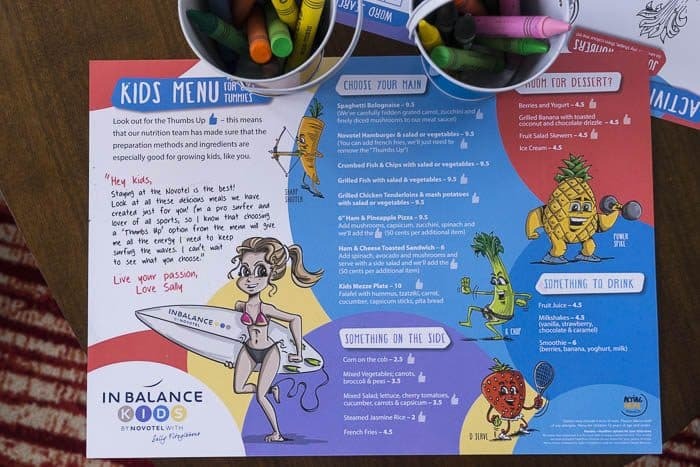 Novotel is a reliable family brand, there are always, always great activities for kids, a kids’ corner, plus healthy menus and in-room activities. What makes the Novotel at Darling Harbour extra good is location, location, location. 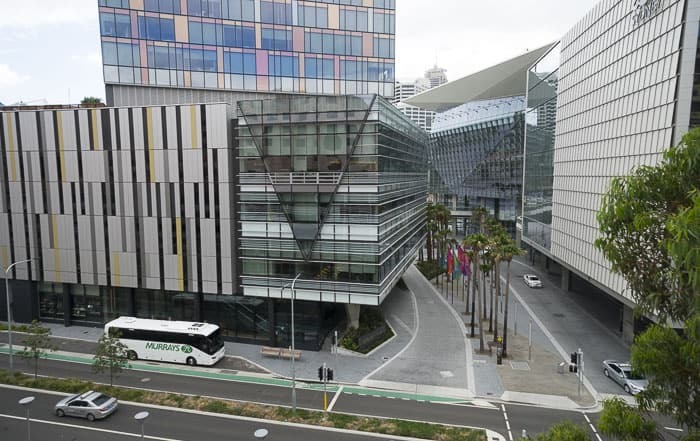 Whilst the Novotel isn’t exactly right inside Darling Harbour, it’s just across a road and train tracks, a very short walk away. You can cross the walkway close to the hotel entrance (just through the car park) which goes direct into Harbourside Shopping centre. 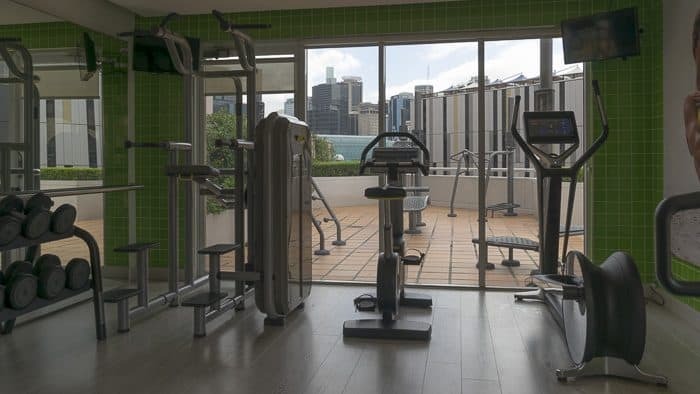 Alternatively you can go down in the lift and across the tracks and road into Darling Harbour, close to the International Convention Centre Sydney. All the joys of Darling Harbour are across the road, the building you can see on the left is the Sofitel which is a five star hotel right in Darling Harbour. It’s gorgeous but it hasn’t got such great kids’ facilities as the Novotel. The building on the right is the Convention Centre. 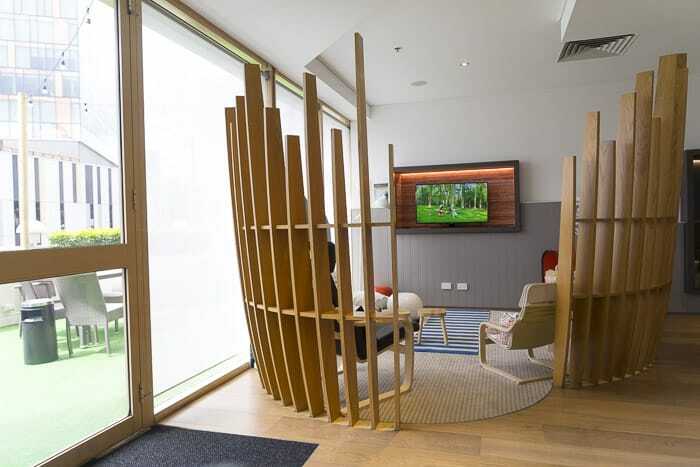 Each Novotel has a kids only space, here you can see the TV and games and comfy chairs. This is beside the Trenery Restaurant. The Novotel’s rooftop tennis court. 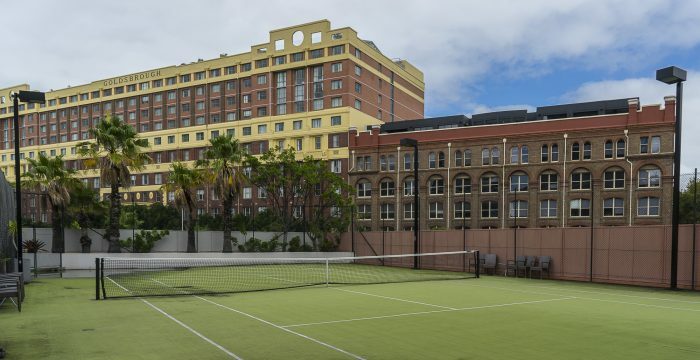 This is the only hotel in central Sydney which has its own tennis court. 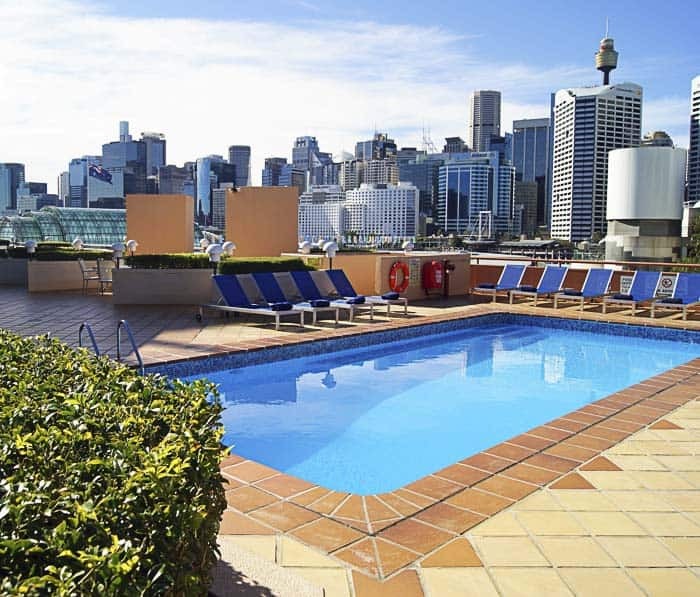 The pool looking towards Pyrmont, on a quiet day! There are 525 rooms at the Novotel, 441 standard/superior rooms and 72 executive rooms and junior suites. There are some two bedroom loft suites. All rooms are being refreshed in 2018. 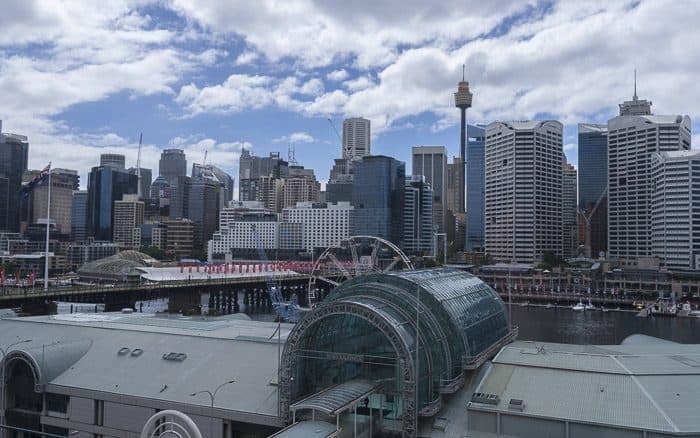 Half of the rooms face Darling Harbour and the other look back over Pyrmont. Half of the rooms can interconnect. 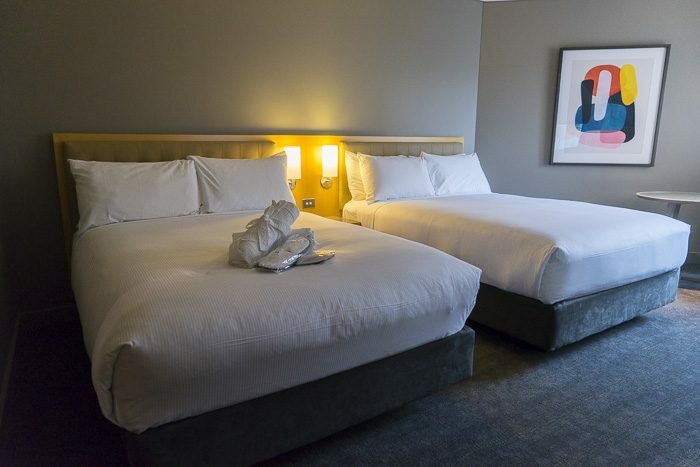 Rooms can be configured with one queen bed or two double beds. Prices vary a great deal by season, ranging anywhere from $200 per night upwards. 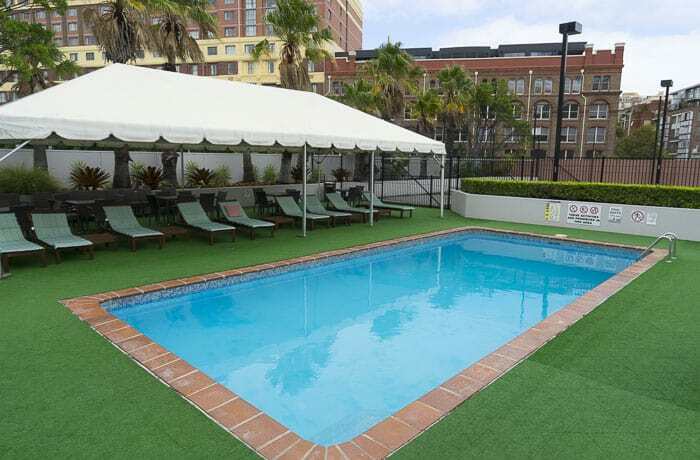 Sydney hotel rooms are in great demand at the moment so all hotels are costly. 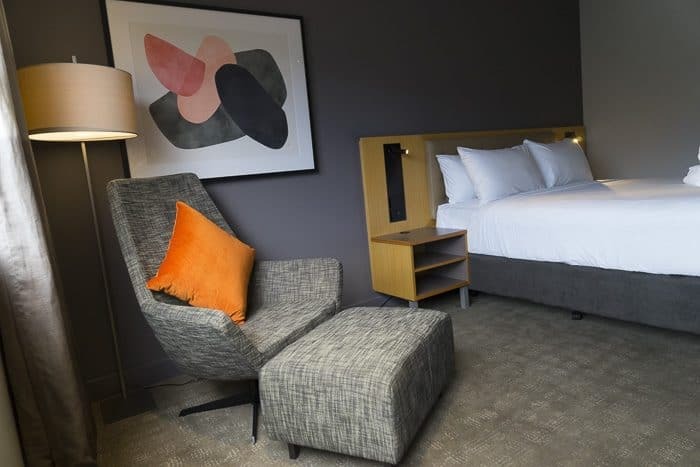 For convenience, comfort and location, the Novotel Sydney on Darling Harbour makes a great option for families. 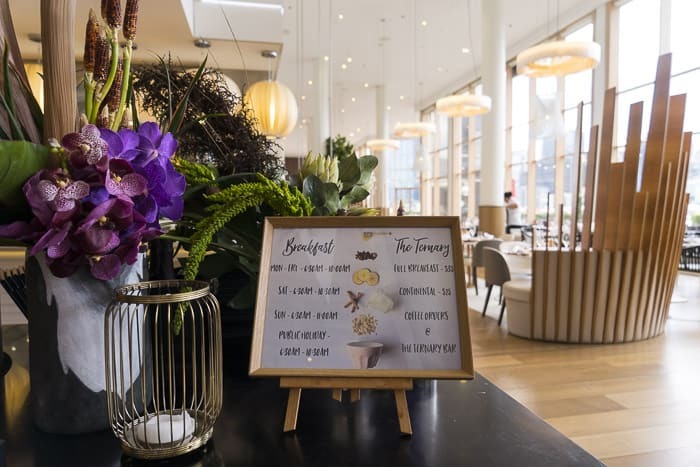 The Novotel is a four and a half star hotel. Check Booking.com here for prices and availability. Regular special deals might offer free breakfast and family packages which give discounted tickets to local attractions,. It’s well worth giving the hotel a ring and asking for their best price and about extras. 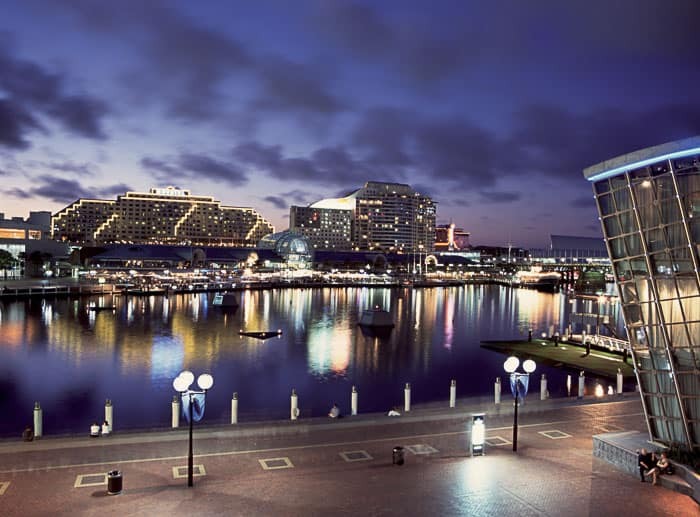 Have you stayed at the Novotel Sydney on Darling Harbour yourself? We just did a tour, but think it looks great for families, if pricey.